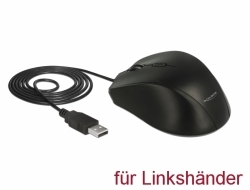 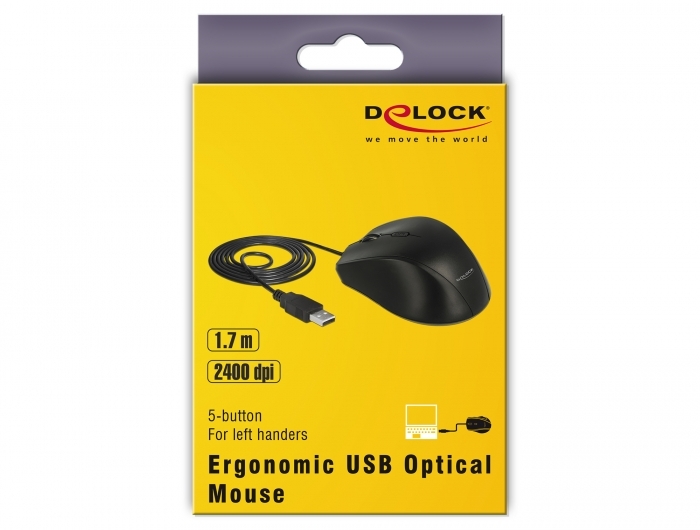 This wired USB mouse by Delock is suitable for left handers and stands out due to its ergonomical design. 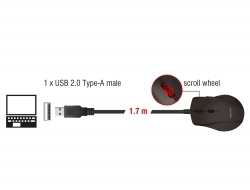 It can be connected to a free USB port of a PC or laptop. 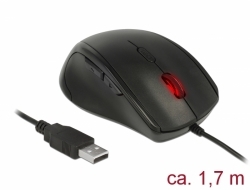 By pressing the DPI button the sensitivity of the mouse can be adjusted, there are four adjustable DPI levels: 800 / 1200 / 1600 / 2400.